Ozwater is the Australian Water Association’s international water conference and trade exhibition. There will be thousands of water professionals from across Australia and internationally will unite in one of the world’s most liveable cities to share ideas on the future of water in Australia. This year’s theme will focus on ‘Transforming our World’. Come visit our stand to learn about moving away from manual ways (ie.spreadsheets) in estimating costs for projects and 10 reasons why Benchmark is the perfect estimator for the water industry. Don’t forget to follow our LinkedIn page and Facebook page to stay tuned on the latest events and news. Traffex is Europe’s largest dedicated road, traffic, parking and transport event. 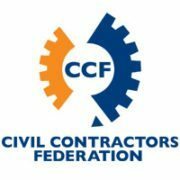 With over 10,000 industry professionals attending from National Government Agencies, Local Authorities, Plant Equipment Providers, Construction Maintenance Team and Health & Safety Management etc. Come visit our booth and learn about how ‘Estimating in the Cloud‘ can help your business with risk mitigation and cost reduction. The largest international Project Control event with over 500 attendees (excluding exhibitors, speakers and support staff), featuring expert international speakers and exhibitors from various industries Oil & Gas, Construction, Rail, Infrastructure, Defence, and Government etc. Benchmark Estimating Software will be the Silver Sponsor and we’ll be sharing the latest update of our Cloud Software and App, and demonstrating how these innovative tools can help you with managing your projects – Become the Benchmark and join us at Booth 41! Benchmarkers can get FREE access to the event, contact us if you would like to register. Only limited tickets are available. With spiralling costs a top priority for contractors, Benchmark is constantly developing, introducing and adapting new technologies to ensure their software retains its award-winning position and continues to deliver improved productivity and profitability for its users. And their most recent innovations are not only industry-leading but simply mind-blowing! 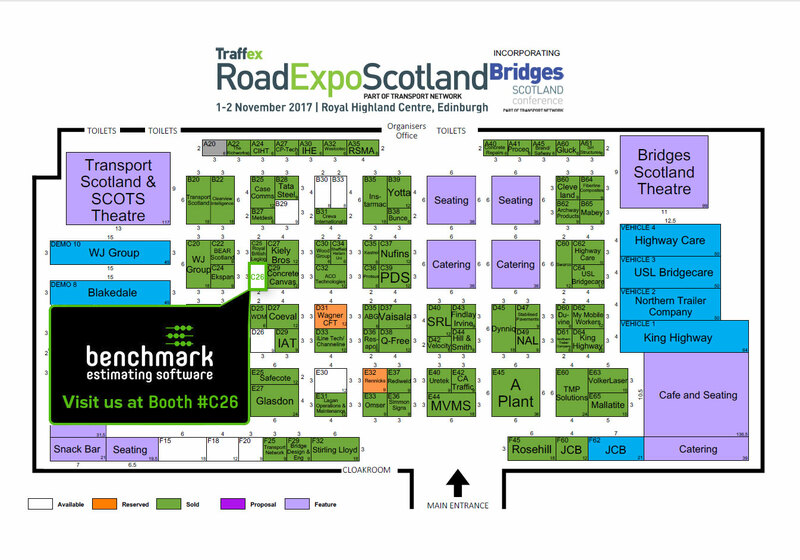 Benchmark Estimating Software was exhibiting at the Road Expo Scotland, 1 – 2 November 2017, Royal Highland Centre, Edinburgh, Scotland. This event provided an opportunity for attendees to gain insight into the very latest traffic management, road maintenance and road safety technology designed for the Scottish road network in 2017. Live at our exhibition booth, visitors had the opportunity to experience how you can improve your productivity with Benchmark Estimating Software, for faster, more accurate and consistent estimating. For more information about the Road Expo Scotland, please visit the event website.